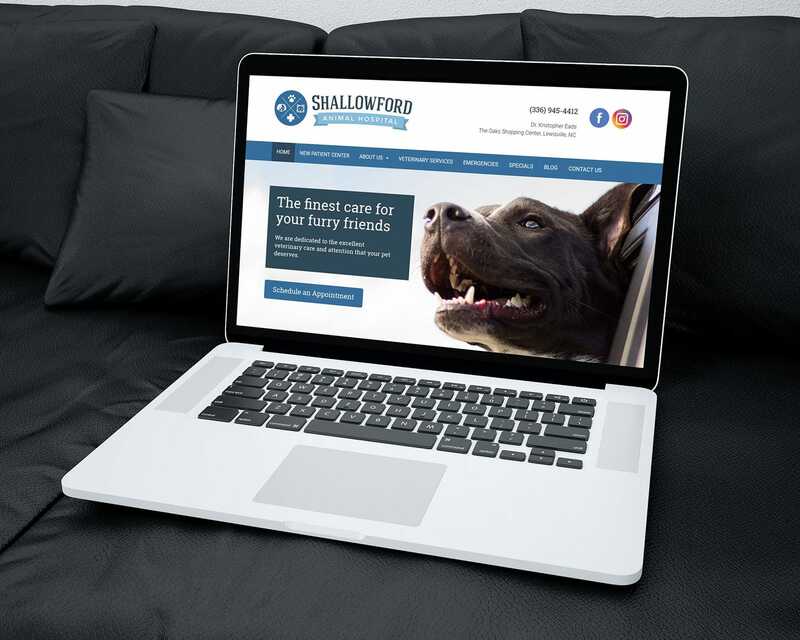 Shallowford Animal Hospital, located in Lewisville, NC, provides excellent veterinary care for your dogs and cats. Dr. Kristopher Eads and his team treat your pets with loving care in every checkup, procedure or surgery. Dr. Eads purchased the existing practice from the former owner who was retiring. 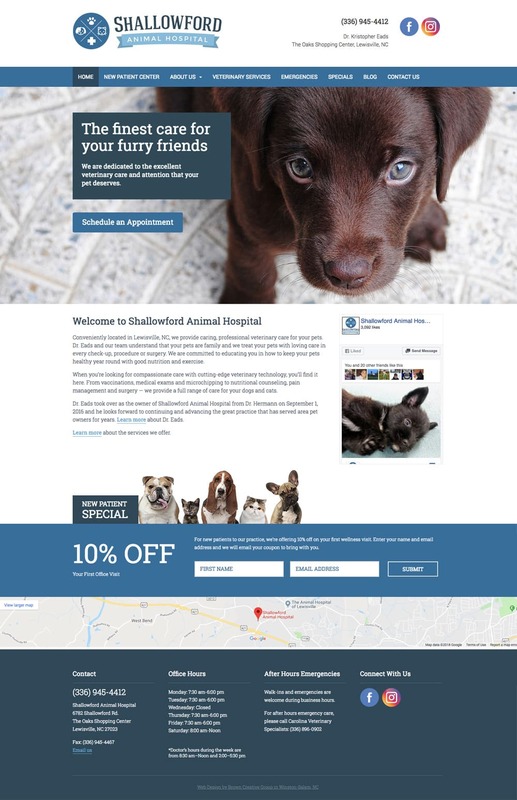 We rebranded the practice, created a modern responsive website, developed some EDDM postcard mailers and implemented an ongoing digital marketing plan, which includes helping manage social media, writing blog posts, sending email newsletters and achieving good Google search results.